Searles Leisure Resort Awarded AA Holiday Centre of the Year! We are delighted to announce that Searles Leisure Resort have now been awarded with the prestigious AA Holiday Centre of the Year award, which recognises the "very best caravan, camping, glamping and motorhome sites across the country". Based on guest reviews, and a secret visit by inspectors, the annual AA Caravan and Camping Awards are regarded as the highest distinction in the holiday parks industry. As overall winner in the Holiday Centre of the Year category, we are honoured to have won the award ahead of thousands of other holiday parks across the country. Searles Leisure Resort is a family run holiday park and has been welcoming visitors to ‘Sunny Hunny’ for over 80 years. Thanks to the vision and hard work of four generations of the Searle family, a site which began life as a field for Hunstanton Beach donkeys to graze, is now one of the UK's largest and best loved holiday centres. Searles provides more than 800 holiday home and touring pitches, as well as luxury lodges available to buy, and many family-friendly activities, attractions and entertainment. 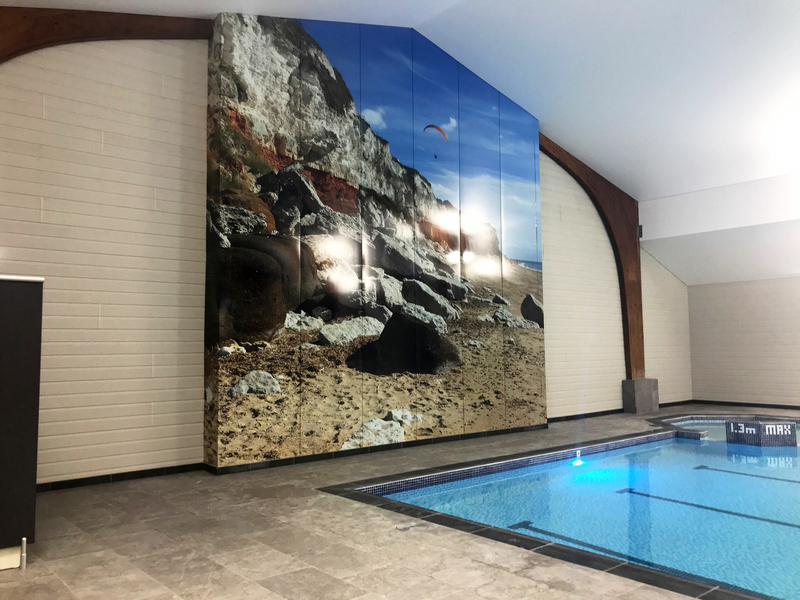 Perfectly situated on the beautiful North Norfolk coast, Searles provides an unforgettable family holiday experience for visitors young and old. "Continuous improvement and enhancing the guest experience. This is a business that never stands still and every year we want to offer something new to delight our visitors with improvements. Our business is making people and families happy". In recognising Searles as the winner of the AA Holiday Centre of the Year award, the AA cited the "passion and hard work of four generations of the Searle family, and their quest for ever-rising standards,” they continued, "all the resort's facilities are spotlessly clean, and there is a general feeling of pride from the friendly and hard-working staff." The AA spokesperson concluded that "Searles is a very worthy winner". "Standards of customer service are an important criteria for these awards, so our team at Searles can take a major share of the credit for this achievement. So many of the reviews we receive from customers mention the great atmosphere here and delivering this is very much in the hands of our park team. We hope the publicity from this AA award will also benefit other local tourism businesses by putting the spotlight on north Norfolk as an amazing holiday destination." The AA Holiday Centre of the Year is the second major award won by Searles in recent months, following on from our recognition as the region's perfect park destination in the holiday parks category of the Norfolk and Suffolk Tourism Awards 2018. To book an unforgettable family holiday at the AA’s Holiday Centre of the Year, check out our special offers and book to get the best availability at the best price! Call 0808 109 9899 or Book Online.